(SKNIS): The Honourable Mark Brantley, Minister of Foreign Affairs, remains committed to expanding the diplomatic footprint of St. Kitts and Nevis by engaging other countries around the world, noting that as the smallest nation in the hemisphere and in a world that is increasingly hostile and difficult, it is his task to go out and make new friends and strengthen relationships with existing friends. The foreign minister made these remarks at a town hall meeting held in Nevis at the St. Paul’s Anglican Church on Monday, 13 February, as part of the Government of National Unity week of activities in celebration of its second year anniversary in office. Minister Brantley explained that achieving visa free access to countries means that citizens and residents alike who hold a valid passport of St. Christopher and Nevis and present it to the specified borders are allowed to enter without hindrance. “And so we have set about negotiating these arrangements and so far I am pleased to say that since this Team Unity Administration took office we can now travel with a St. Christopher and Nevis passport visa free to Kosovo, Ukraine, The Maldives, Indonesia, Seychelles, Bolivia and Brazil, and I am very happy to say we will be signing additional visa agreements,” he said. The foreign minister said that the goal and objective of the government is to ensure that the passport of St. Kitts and Nevis becomes the most powerful in the Caribbean region. “And we have achieved ranking in terms of our passport by the number of countries that allows passport holders to access their borders without a visa. 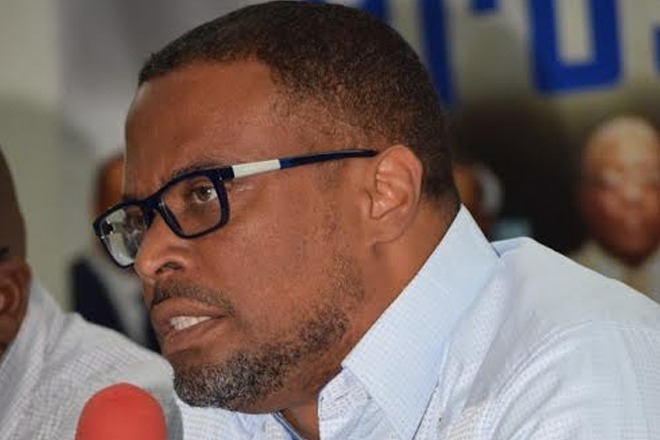 And so, while we lost visa free access to Canada in 2014 – and we are working assiduously to enjoin and engage with the Canadian government – I want to tell you that we have not been resting,” said Minister Brantley. He said that many persons might question the reasons behind having visa-free access to some of the countries mentioned, adding that it is an important venture, as it can help in one’s further development and even that of their families. Minister Brantley said that an important lesson to note from the engagement with other countries is that countries only allow other countries to access their borders visa free once they have developed confidence. He said that the government has been working and will continue to work hard to rebuild the confidence of the world in the state of St. Kitts and Nevis.